Hey, I’m blogging again. My last blog was in June. I am completing research and writing a new book exploring the challenges presented by AI and machine intelligence and the evolution of our education system so that we prepare humans to use and control artificial intelligence. Since 2016, Dan Kenley and I have recorded over thirty hours of podcast interviews on our Insights Into Education site. (insightsintoeducation.libsyn.com) We have amazing guests and many thousands of listeners. And of course, the mid-term elections created a lot of stress and ate a lot of energy. Arizona is rated as one of the most corrupt states. A one-party ideology has dominated Arizona economics and the limitation of social systems. This small group who hide under the moniker ‘Libertarian’ has created gerrymandered districts and financial bribery systems that let them control the state. Oligarchs and billionaires buy politicians with dirty-dark money and skew elections. The Koch Brothers, Mercers, the DeVos minions, and organizations like the Goldwater Institute are the owners of our state government. Arizona GOP/Libertarians believed they had created an impenetrable fortress for their special interests and anti-American ideologies. Now that fortress is crumbling. Thanks to teachers and citizens who support public education, the deep corruption in the Legislature is being exposed. Millions of dollars have been ‘legally’ stolen from the taxpayers as the Legislature has crafted permission-to-steal laws that allow their own elected representatives to hijack money taxpayers believe is going to children and education. 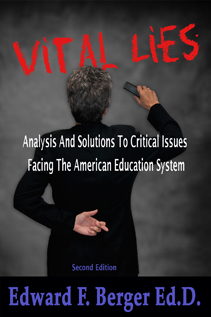 There are many serious problems, but the starvation and attempt to destroy public education is the turning point. What has happened is that new heroes emerged, many women, and many young people stood tall and ran for public office. Against all odds and a fixed system these leaders, at great personal costs, stood and fought to be representatives of the people. In areas of the state where the GOP did not have a nullifying grip, many of these heroes won, and the vile maneuvers of the corrupted are being exposed. In areas where the GOP has established one-party government, the challengers could not win, but they fought to open the minds of those who negate democracy. In my community an exemplary leader emerged. His chances of winning in a fixed system did not keep him from trying. He ran a campaign that was enlightened, fair, and representative of the majority. David Brill ran against an opponent that had no intention of representing his constituents. His opponent, Gosar, knew that whatever he did, whether he campaigned or not, he would win. As rotten and un-American as this is, Brill, and some others who ran, exposed the system and the individuals in our state who have contempt for representative democracy. Knowing that David, his family and team are active in our community gives us hope for the future. Nationally, the few non-elected wealth-driven families and individuals who own our government, are working to destroy our representative democracy. In November 2018, the people moved into what the Koch Brothers and others imagined as their conquered territory. There is now a mighty wave of accountability and it is scouring our government of those who have infiltrated and are subverting it. We need a governmental system that is not owned by the likes of the Koch Brothers, the Mercers, the DeVos clan, and their ilk. And now, thanks to those who stood up, we are developing an educated people that understand civics and their role as citizens. Thank you to all who stood tall. You are all winners and are making a difference.